Welcome to TranslatorCertification.com! To access the exclusive training content here, you will need a login and password. This website is the #1 online translator training platform in the industry providing CTP members with 10+ expert audio interviews and over 50 video training modules with new resources added each month. Our team has invested over 200 hours in building this training website exclusively for members of the Certified Translation Professional (CTP) program. The Certified Translation Professional (CTP) Program is a 100% online based translator training and certification program that can be completed in just 3-5 months. Being certified can give you credibility when approaching new clients or applying for new projects. 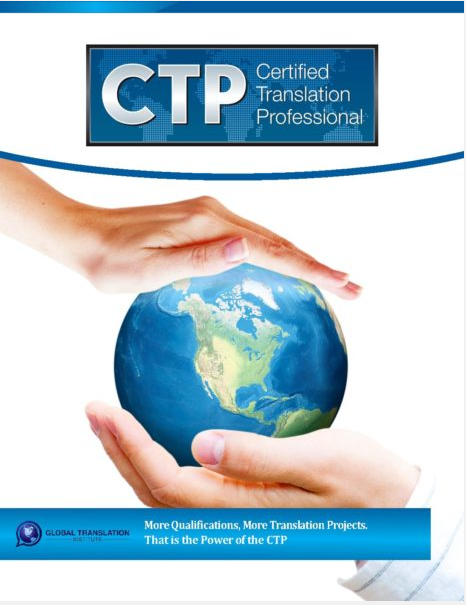 The CTP is the #1 most popular and respected online translation certification program in the industry. To learn more about the CTP program, please click here. Thank you! We look forward to seeing you in the CTP program soon. More Qualifications. More Translation Projects. That is the Power of the CTP.